Not all of Planet Woman Fitness’ locations are for only ladies! In Merritt BC, Tyler Wowchuk is our Personal Trainer at the co-ed gym. We enjoy providing this co-ed facility so that both men and woman in Merritt can realize the benefits of having a certified personal trainer. A trainer can help anyone to stay healthy, achieve fitness goals, push their own boundaries, receive customized workout help, and get stronger. Tyler is experienced at helping all of his clients get the most out of coming to our gyms. Here’s more about him. Tyler grew up in Merritt, where he played many sports including hockey, soccer, and baseball. After graduating from high school, he went on to play junior hockey in Campbell River for 3 years, before deciding to continue his education. Tyler graduated from the University of Calgary in 2014 with a B.Sc. in kinesiology. 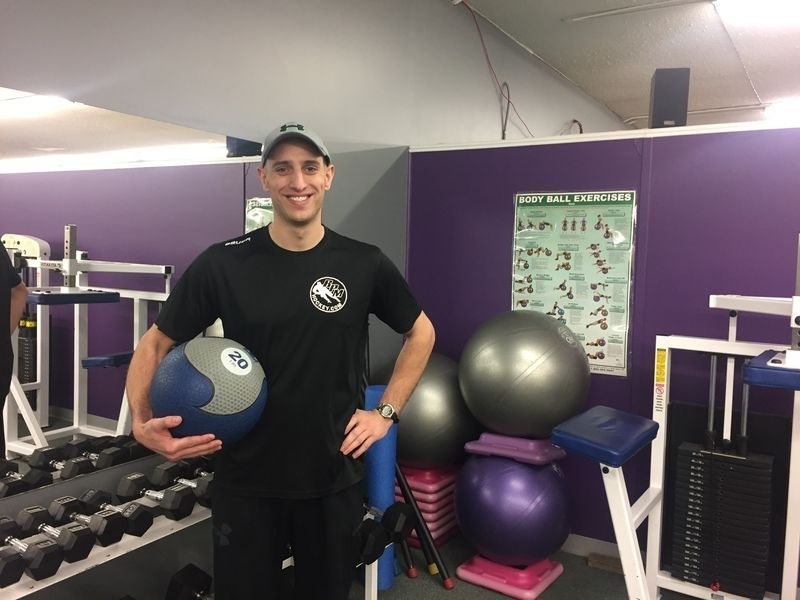 After completing his degree, he moved back home to Merritt where he has been working as a Personal Trainer and Kinesiologist at our co-ed location Planet Fitness. Outside of the gym Tyler enjoys staying active by working out, playing hockey, and coaching minor hockey and high school teams. With Tyler’s athletic and educational background, he can help you achieve any of your fitness goals, including weight loss, strength gain, athletic conditioning, or pain management. Tyler knows the benefits of personal training and wants you to get the most out of your time and efforts. Come meet him and the team to get a tour of our facility, ask questions, or learn about getting a membership here!